Designed by Joseph Llusca in Barcelona and manufactured by the Resol Group in Spain, this piece will deliver a sleek European flair into your contemporary space. With clean lines and smooth graceful curves, the Beekat Armchair is as comfortable as it is stylish. 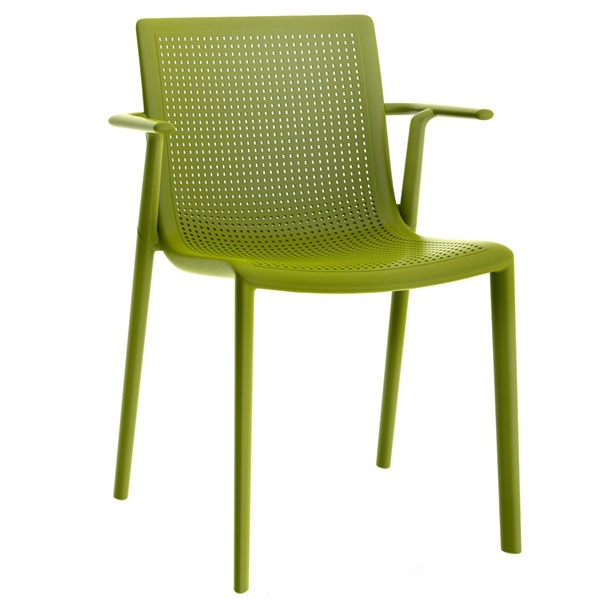 The convenient UV protection, allows this chair to beautifully complement modern indoor and outdoor environments. Choose a color to best enhance your residential or commercial office, dining room, or living room.